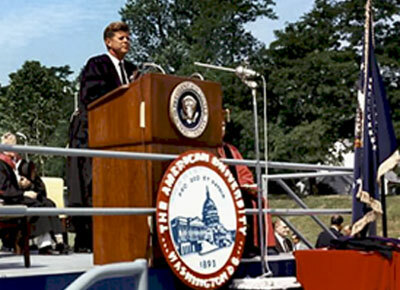 COPA’s annual Commemorative event on the 47th anniversary of JFK’s speech against the Cold War will be held at the Memorial Plaque, campus of American University (southeast end of football field), 4800 Nebraska Ave. NW, Washington, DC (entrance off New Mexico and Nebraska Aves.). Reading followed by luncheon meeting. Open to researchers and public, no cost.